Donald Lee Tusing, Sr., 90, formerly of Green Springs, OH passed away on Sunday, April 8, 2018 at the Ohio Veterans Home in Sandusky, OH. He was born on March 8, 1928 in Green Springs to Simon E. and Myrtle (Biller) Tusing. Donald served in the U.S. Army during WWII as a Medic on a Hospital Train Unit during his service. He was awarded the WWII Victory Medal. Donald married Barbara Fleming on November 21, 1977 in Donaldsonville, GA and she survives. He worked as a line repairman at Whirlpool Corporation in Clyde, OH and retired in 1986 after forty-six years of service. He was a member of Green Springs United Methodist Church and the American Legion in Green Springs. Donald was a Boy Scout Leader form many years. He also enjoyed fishing, camping and woodworking. Donald is survived by his wife of forty years, Barbara Tusing, Clyde, OH; children, Christina Lee Brown of Georgia and Donald L. “DJ” (Monica) Tusing, Jr. Tiffin, OH, Debra Belcher, Willard, OH, Lori (Steve) Thomas, Festus, MO, Teresa Frazier, Vermilion, OH and Jean Gerber, Clyde, OH; numerous grandchildren and great grandchildren. He was preceded in death by his parents; first wife, Kathleen (Laremore) Tusing; brothers, Ralph and Lester Tusing; sister, Winifred Geary and son-in-law, Richard Brown. Visitation: Thursday, April 12, 2018, from 10:00 am to 11:00 am at Horvath Hanes Funeral Home and Crematory, 211 N. Broadway St, Green Springs, OH. Services will begin at 11:00 am at the funeral home with Pastor Christine Tobergte officiating. Burial: Green Springs Cemetery with Military Honors provided by the Green Springs American Legion. 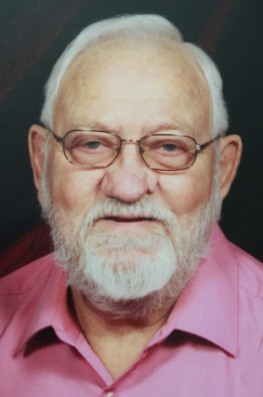 Offer Condolences for the family of Donald L. Tusing, Sr. Sorry to hear about this. We had a lot of good times and I always knew that if I needed anything Don was there. Prayers sent and hugs too . Your family is in our thoughts and prayers as you go through this difficult time. Hugs. Many prayers are with you and your family Barb…. My sincerest condolences. Barb i am so sorry to hear about Don. I cant come to the funeral but i am so sorry for your loss cuz love ya. Our sincere sympathy to your family. I lost track of Don over the years but I do remember him as a fun-loving cousin when we were young. D.J. My sincerest condolences to you and yours in this moment of painful loss. Too many memories cloud my mind of our times in scouts with your dad. He will always be remembered. My best to you and family!